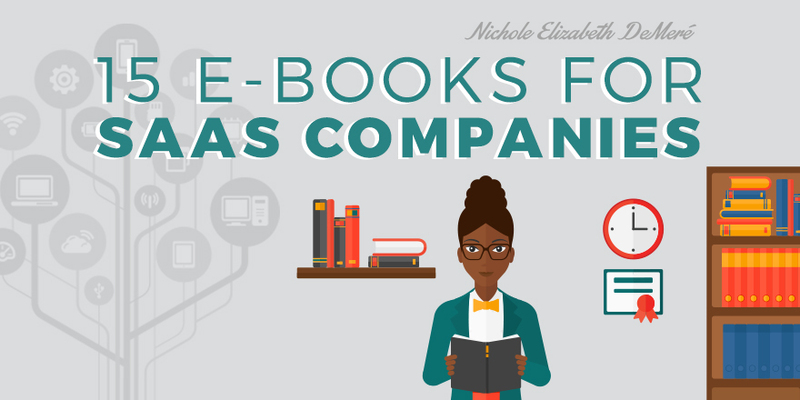 Image created by Yasmine Sedky (@yazsedky).Here are e-books for validating, growing, and scaling your SaaS company. Please post additional recommendations in the comments and I’ll consider adding them to the list. There were 15 e-books but some of them are no longer offered so I removed them. “When some of our Upshift advisors suggested we develop an e-book to help encapsulate some of the great teachings that are part of our 12-week curriculum to help accelerate the growth of tech startups, I thought, ok, I’ll add it to our project sprint for that week. Four months later, I couldn’t be prouder of the detailed, yet easy-to-read summary of 59 tips, directly from the mouths of some of our stellar team of advisors, that can help any startup hone in on the process necessary to scale successfully. We all know “learning from mistakes” is part of the drill when it comes to startup growth, but who wants to make mistakes? Wouldn’t it be great if you could minimize some of the pain that comes with turning your passion into a profitable enterprise? In this e-book, startup founders will come to understand some of the common pitfalls made by young companies in the early days so you can do your best to avoid them. For some, it will provide the structure and organization that your company currently lacks; for others, it will be a refresher on what you know to be true about building exceptional sales teams but are too caught up in the day-to-day tasks to act upon it. “You could spend a lifetime trying to sift through and digest all the blog posts, podcasts, guides, and case studies that exist online about growth hacking—or you could start taking action today. “Industry-wide benchmarks shows that it costs about 5x more to acquire a new customer versus just retaining an existing customer (and maximizing the amount of money they thus spend with you over their lifetime). “Is it possible to create an interactive demo of your app idea without using a design tool, without knowing how to write code, and without hiring any designers or programmers to help you with it? “Why do some products capture widespread attention while others flop? What makes us engage with certain products out of sheer habit? Is there a pattern underlying how technologies hook us? “This book will make you money. It will teach you how to build your website in such a way that it converts visitors into leads or buyers. Building websites that sell is not an art; it’s a science. It’s not about gut feelings and personal preferences – nothing to do with bells and whistles. You will learn how to optimize your website for sales, based on all the best research and experiments. You start by defining a business objective for your website. What follows is careful planning regarding how to design the website in such a way that it produces maximum results. Everything you need to boost sales you will learn from this book – filled with straight-to-the-point advice and lots of examples. Everything in this book is based on in-depth industry knowledge and scientific research. Why should you care about conversion optimization (the science of turning more visitors into buyers) in the first place? “When I published a story called “Uber vs. Lyft: An Insider’s Perspective,” it received 29,000 views on Medium. Since I included special links at the bottom of the story, I received between $50 – $300 for each driver that signed up. Ultimately, nearly 170 drivers did, netting me $10,000 cash for one single story. This e-book is designed to teach you how to use Medium to write and promote stories that do whatever you need them to – make money, build a brand, acquire users, raise funds for a charity, obtain media exposure, or even land a book deal. The power of Medium is limitless, and I want to show you exactly how you can harness it. “User adoption is the lifeblood of every product company. Corporate, startup, bootstrapped or otherwise, if your company’s ‘user faucet’ was shut off, everything would wither up and die. You’ve seen the studies – companies that retain customers grow bigger and faster than companies focused solely on customer acquisition. You can fill your funnel to the brim, but if your onboarding process acts like a leaky sieve, you’ll never have enough revenue to build and grow sustainably. I have nothing to do with Kissmetrics other than having tried their product but I did find the “SaaS Marketing Bundle” a really great publication: http://grow.kissmetrics.com/saas-marketing-bundle-pdf with lots of really clear advice. It’d be awesome to get your thoughts on it!